Rebecca moved from Perth 22 years ago with her family. Rebecca previously worked in the child care industry before she found her passion in real estate, helping people manage one of their greatest assets in life and building a positive relationship with clients to help them achieve the best out of their experience with Elders. Rebecca has recently returned to Elders after welcoming a new addition to their family, a son named Caleb in January 2018. 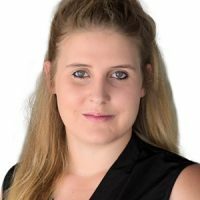 Rebecca joined Elders Real Estate at the start of 2017 as a Property Manager and has since worked with many clients across the Darwin region. Would you like to speak to Rebecca? If you’re thinking about renting or selling your property and you’d like a clearer picture of how much your property might be worth or want to have an informal chat about general property market trading conditions, Rebecca will be happy to arrange a full market appraisal of your property.